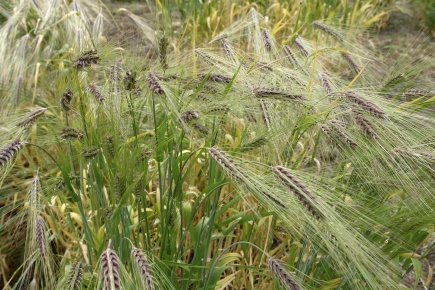 Norwegian and Ethiopian scientists work together to make the most of the barley harvest. – This project is a blessing from God. Never before in my life have I experienced that university people had any interest in how a poor man like me lives, nor in improving my life, says Gebregiorgis, a 68-year old farmer from the Habes village in the Tigray-region of Northern-Ethiopia. His crop, and many others, have increased after a research project was initiated with the aim to improve the barley in northern Ethiopia. It all began at UMB. 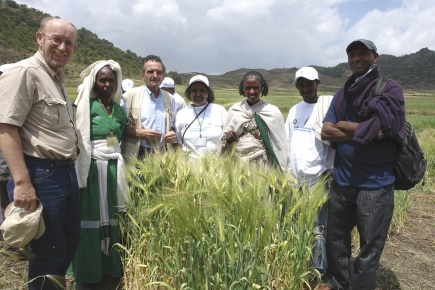 In her thesis from the Norwegian University of Life Sciences (UMB) in 2007 Dr. Fetien addressed why Tigray farmers never grow the recommended improved varieties of barley – the third most important crop in this very poor region. By networking with almost 250 farmers in different areas she showed that the reason was simply that they were inferior under farmers’ conditions. For varieties to be adopted, they must be selected under real farm conditions. She also showed that the highest yielding variety was «Himblil», selected by the then 87 year old mountain farmer Kahsay Negash. His variety spread quickly once it became known by participating farmers. This work has been continued in a joint project with Norwegian University of Life Sciences (UMB) and Mekelle University (MU), where Abay is employed today. The project is called «Seed Safety through Diversity», and is founded by The Norwegian Programme for Development, Research and Higher Education (NUFU). As a part of this project a very successful workshop on participatory methods involving researchers, NGOs and farmers was held in Mekelle, the capital of Tigray, from October 6th to 8th 2009. The meeting was covered by Ethiopian television on national news on Saturday October 9th and in a longer feature program on October 13th. – I have experienced foreign projects imposing solutions from outside, but this project enables us to find our own solutions from inside, said Mulugeta, the young chairman of the village. 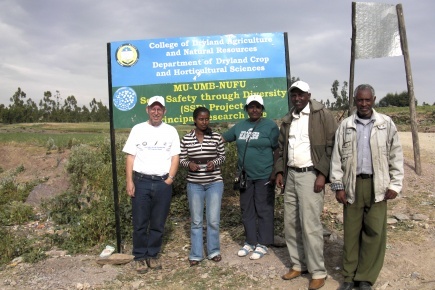 MU and UMB project staff, six experimenting Tigray farmers and the leading barley researchers from other parts of Ethiopia were included amongst the some 30 participants. The special guest was the former head of barley breeding for dry areas in International Center for Agricultural Research in Dry Areas (ICARDA), Dr. Salvatore Ceccarelli. He is world famous for his pioneering work involving farmers in barley breeding for marginal areas in Syria, Jordan and other countries. One major outcome of the meeting was that barley researchers from other parts of Ethiopia recognized the results in Tigray and were prepared to complement their work by such methods. Second, the NUFU project demonstrated new promising barleys developed through crosses between «Himblil» and the major farmer’s variety in Tigray, «Saesa». The adaptive traits in this cross will be studied further by molecular mapping techniques. Third, Dr. Ceccarelli said ICARDA can make a wider array of crosses intended for field testing in Ethiopia, as well as share statistical designs that improve experimentation in farmers’ fields. This collaboration may start already in 2010, due to a recent grant from Italy dedicated to participatory research in Ethiopia. This comes in addition to a Dutch grant promoting local seed businesses and an EU-project through ICARDA.